The L.A. Kings have traded left wing Ryan Smyth for the Edmonton Oilers’ forward Colin Fraser and a seventh-round pick in the upcoming draft. 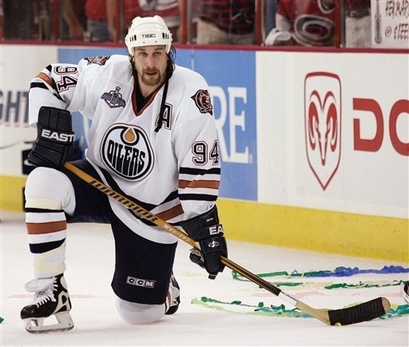 Smyth was initially drafted by Edmonton in 1994, where he became a fan favorite. When the teams were unable to reach a contract in 2007, however, he was traded to the Kings. Last season, the 35-year-old totaled 23 goals and 47 points, and played all 82 of his team’s games during the regular season. Fraser had three goals and two assists in 67 games, after spending four season with Chicago, including the season in which the Blackhawks won the Stanley Cup.